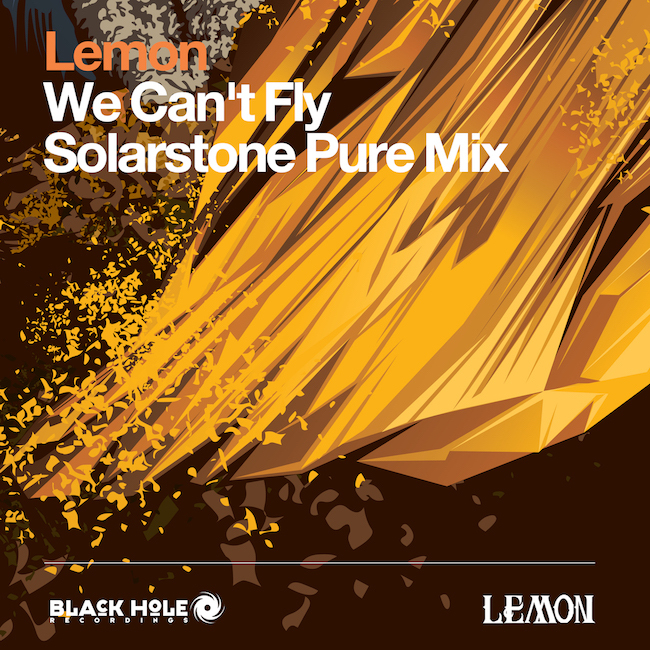 LEMON - We Can’t Fly (Solarstone Pure Mix) - Solarstone. Solarstone continues to break new ground with his genre distilling #PureTrance movement. Following this years clutch of gold-star earning hits ‘Fireisland’, ‘Pure’ & ‘The Spell’ (all cut from the press and fan acclaimed 2012 album ‘Pure) comes a meeting of minds with New York pop/soul übercool outfit Lemon. Solarstone takes Lemon’s heart rending synth-pop-soul lament and gives it the full driving, melodic and captivating #PureTrance treatment. Pounding percussion, slick sequencing and spiralling arpeggio lines set the stage for the main event, the poignant and emotional vocal performance of Lemon’s Roger Smith. Retaining the melodic main frame of the Original version (which appears on Lemon’s artist album We Can’t Control The Weather), Solarstone reshapes and reassembles the synth hooks into a relentlessly ascending main room masterstroke. Lovers and devotees of the pure side of trance can be assured that its future and legacy is in safe hands.